4-Sided Stainless Steel Grater Just $9.97! Down From $30! 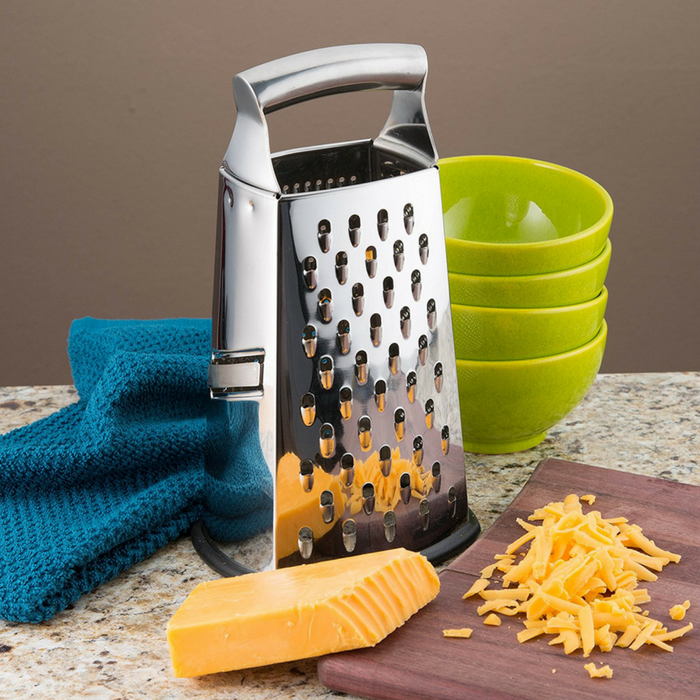 You are here: Home / Great Deals / Amazon Deals / 4-Sided Stainless Steel Grater Just $9.97! Down From $30! Don’t miss this amazing deal from Amazon! Get this Spring Chef 4-Sided Stainless Large Steel Grater for just $9.97, down from $29.99 PLUS FREE shipping with Amazon Prime and for orders $25 or more! Designed with your needs in mind, this Spring Chef 4-Sided Stainless Large Steel Grater has a spacious, curved handle and plenty of knuckle room so you can keep your grip while grating delicious meals, toppings, and garnishes. It has a stylish convex design that allows for a greater holding capacity which means you can grate most foods in one round of grating. It is perfect for many varieties of cheese, cabbage, and other produce!